It happens to the best of us, but don't worry if you have misplaced your password! If you were added to a Fergus account you may need to enter a username instead of an email address - check with your office admin if you don't know what this is. If your staff doesn't know their username, you can change their password for them. 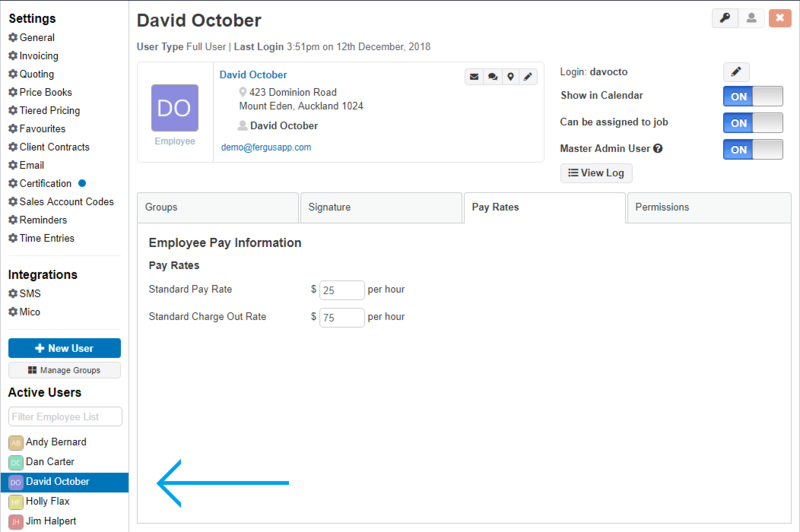 Head to ⚙ Settings and click the staff member's name from the side panel.